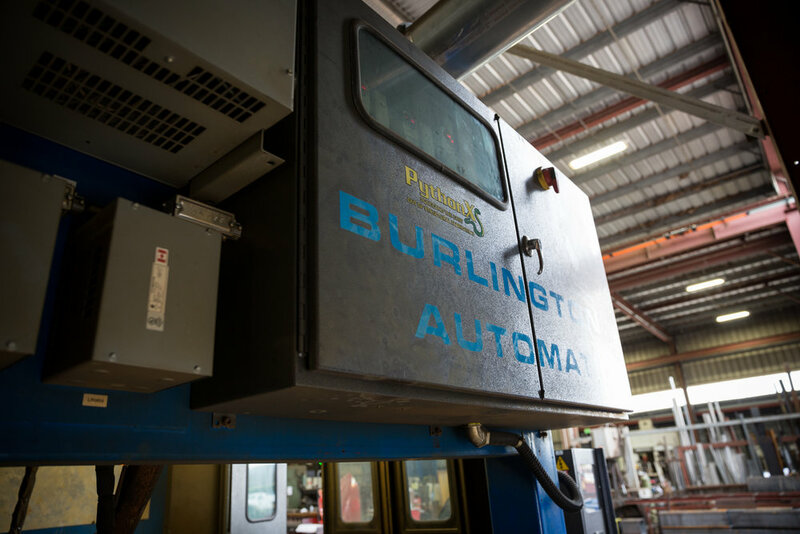 USED BURLINGTON PYTHON X PLASMA COPING ROBOT (2013) — JPS International Inc. 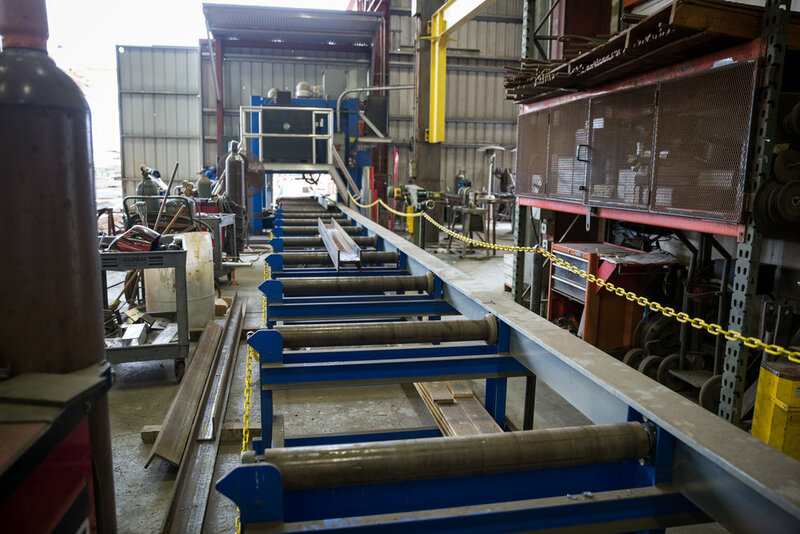 This 2013 PYTHON BEAM COPING ROBOT with UNDERSIDE PROCESSING in combination with MATERIAL HANDLING SYSTEM can be seen still in operation.Included are 60’ IN FEED Roller Conveyors with MEASURING and 40' OUT FEED Roller Conveyors with Hypertherm HPR400XD. This 2013 PYTHON BEAM COPING ROBOT with UNDERSIDE PROCESSING in combination with MATERIAL HANDLING SYSTEM can be seen still in operation. Included are 60’ IN FEED Roller Conveyors with MEASURING and 40' OUT FEED Roller Conveyors with Hypertherm HPR400XD. The PythonX Structural Fabrication System was designed to incorporate as many fabrication functions as possible into one machine. 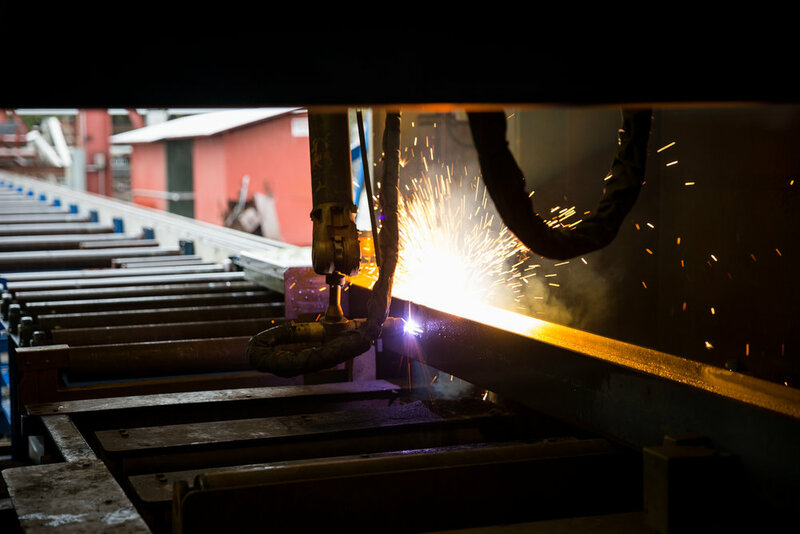 By completely eliminating material handling (which does not add value to the structural member) between operations the PythonX is able to produce completely finished pieces at the lowest manufacturing cost. 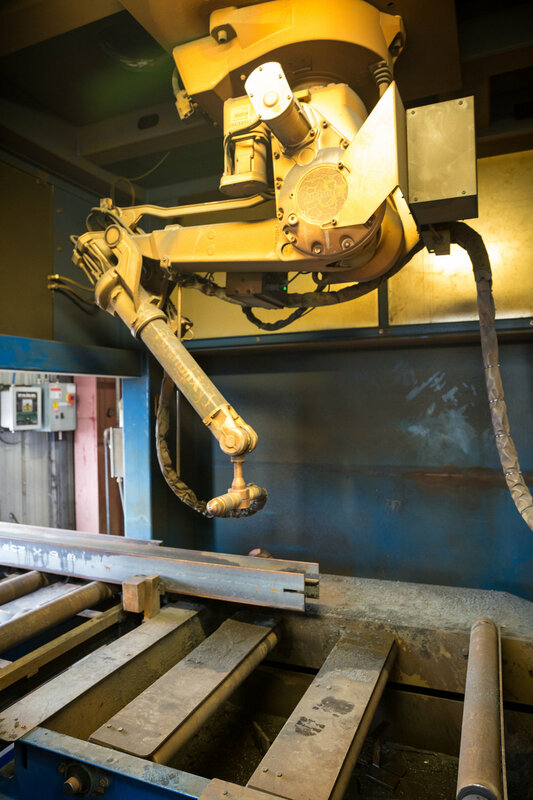 This machine instantly automates all of the fabrication operations typically performed on structural steel. The PythonX is an industrial duty machine built with standard off the shelf quality components and is controlled by a user-friendly operator interface that accepts drawings/files directly from your detailing software with no need for manual intervention. Multiple drive arrangements have been utilized to achieve seven axes of motion. All axes are servo driven for precision and accuracy.